Dr. Kimberly Mahood was born in Seoul, South Korea, but grew up and spent most of her life in the beautiful bluegrass state of Kentucky. She obtained her dental degree from the University of Kentucky College of Dentistry, where she was inducted into the dental honor society, Omicron Kappa Upsilon, and graduated as valedictorian. After completing dental school, Dr. Mahood furthered her education and clinical experience by obtaining training in oral and maxillofacial surgery and advanced general dentistry. She pursued her passion for creating beautiful smiles by completing the orthodontics residency program at the University of the Pacific Arthur A. Dugoni School of Dentistry. During this time, she obtained a master’s degree and was awarded the Dr. Arthur A. Dugoni Excellence in Research and Scholarly Activities Award. After completing her orthodontic residency, Dr. Mahood was appointed as a part-time faculty member at the University of the Pacific Arthur A. Dugoni School of Dentistry, in the Department of Orthodontics. She finds her interaction with the orthodontic residents and dental students truly rewarding, and especially enjoys teaching in the resident clinic on Thursday afternoons. She is also involved with the orthodontic alumni association and is currently the chair of the Pacific Chapter of the Orthodontic Alumni Association. 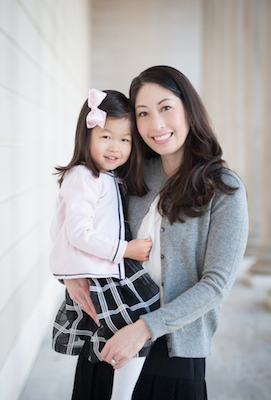 Dr. Mahood now considers the Bay Area home with her husband Peter and their daughter Avery. They enjoy traveling together and spending time with family and friends. She also enjoys reading and watching college sports in her spare time. Dr. Mahood is committed to providing the best care to her patients and is excited to meet you and work together to create a beautiful smile!